Woohoo! It's a fresh new year! 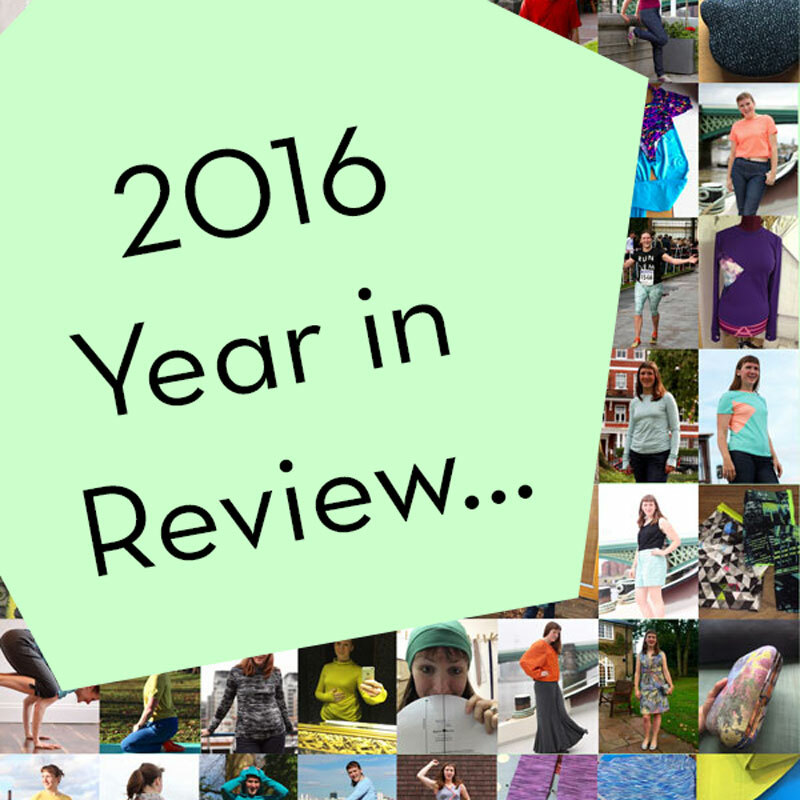 Each year I like to take the first of January to look back on what I've sewn in the previous year. 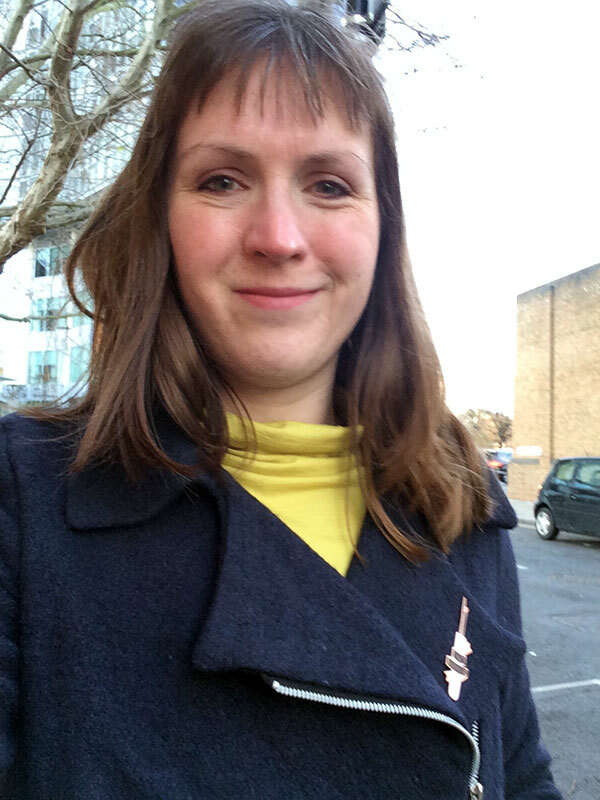 So while this post is a celebration of the new year, it's also a look back at what I've been up to in the last twelve months, which I always find to be a helpful exercise! and 1 each from Named, Closet Case Files, Pattern Fantastique, KwikSew, Simplicity, Vogue, Pattern Review, and Measure Twice Cut Once. By my count, I made: 27 tops, 18 bottoms (including leggings & shorts), 2 babygrows, 4 dresses, 2 robes, 4 jackets/capes/cardigans, 1 skirt, a ton of running armbands and silk rosebuds, 5 bags and 1 hat. I didn’t have much energy to make presents this year, but James ended up with 4 tops and 2 pairs of leggings this year, and our two friends who came for Christmas enjoyed some running shorts and a wrap cardigan, too. I think the biggest surprise for me in the above tally is how much my own patterns and self-drafted actually dominated my sewing this year! I mean, I know how much I need to sew behind the scenes to develop a pattern, but I’m not even counting in most of those makes! I made quite a few self-drafted teeshirts and bottoms which really brought the tally up, too. 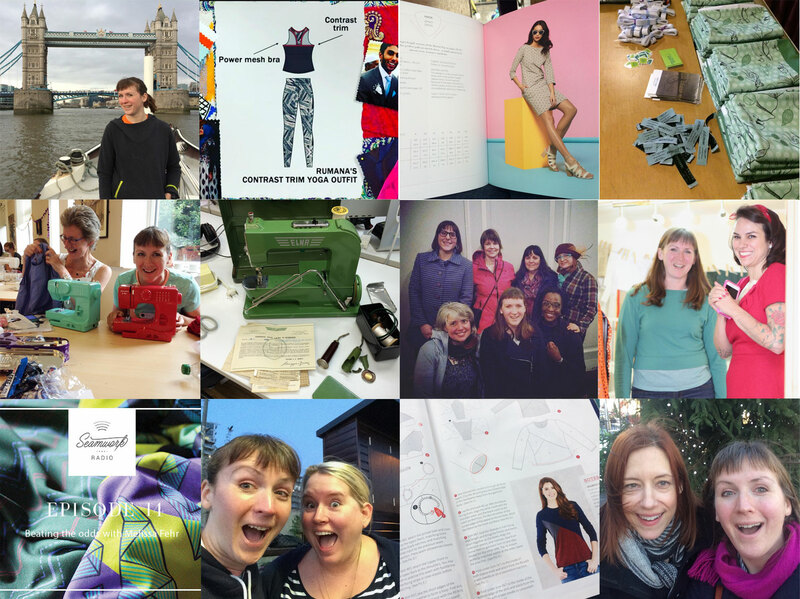 I’m pleased that I’ve sewn more from my Burda magazines a bit this year, too (even if most of them were from archive issues), and I hadn’t realised how much I’d used the Sewing Bee book, either. I made the Named Harriet lumberjacket early in the year when I wasn’t feeling well, and after rejecting a ton of other patterns for the wool and vintage silk I’d bought from Ditto, I ended up with a total winner. I absolutely adore this jacket, and I’ve worn it hard all year. 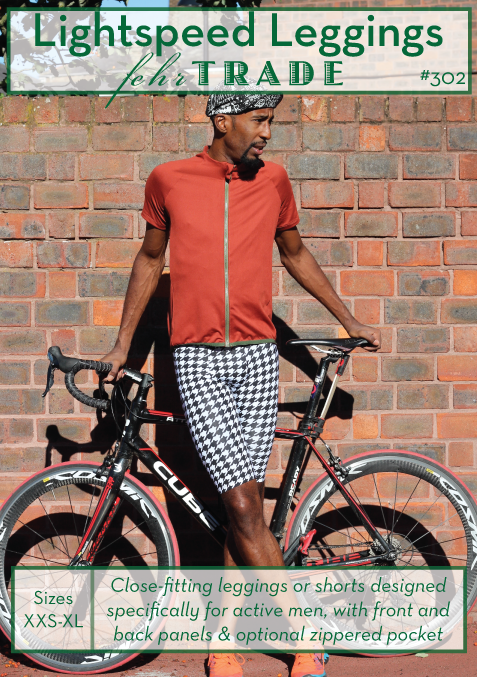 The Pattern Fantastique Falda jacket is probably my favourite pattern of the year. The seamlines and construction are absolutely bonkers, but the instructions and illustrations in the pattern itself made this a very manageable sew. 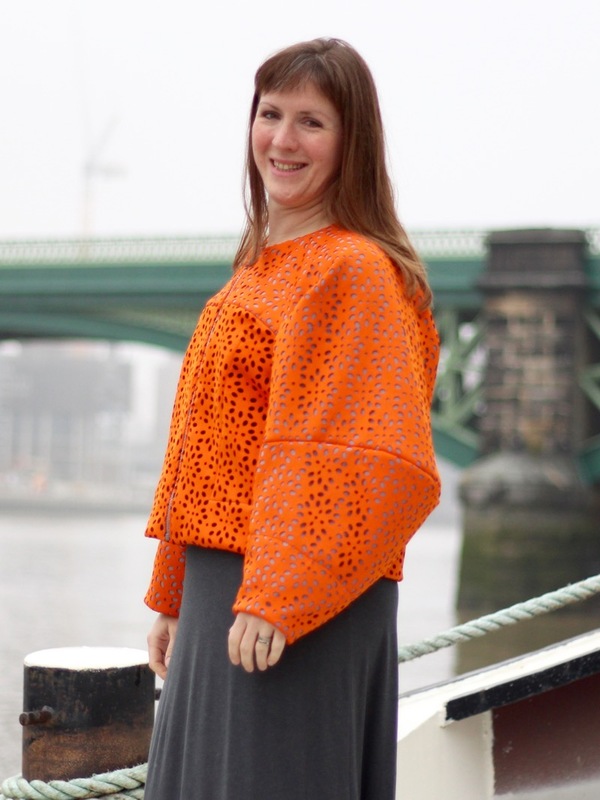 I paired it with an orange laser cut scuba (layered over grey and black scuba) and the result was a very avant garde jacket, but one I keep reaching for to jazz up some jeans and a teeshirt. That it’s machine washable and crease-free is just a bonus. 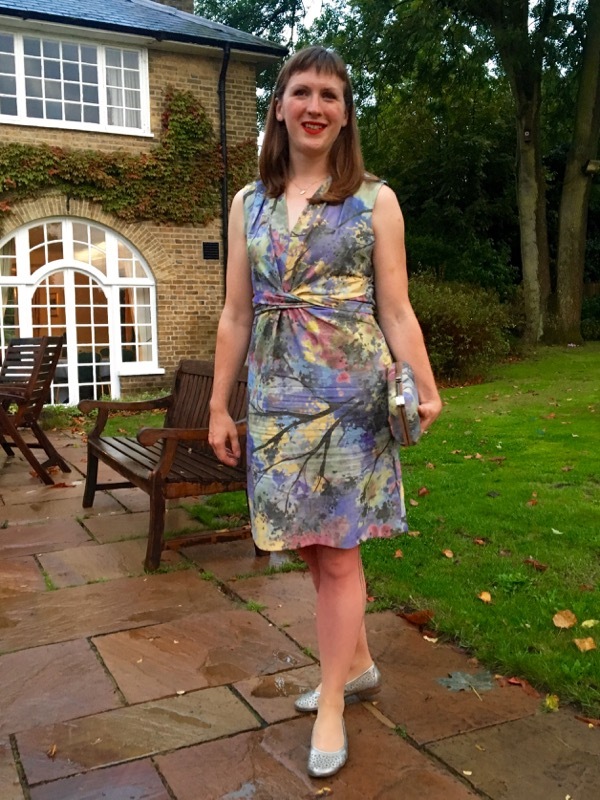 This was my second time making the StyleArc Pamela dress pattern, and the watercolour silk noile I’d bought at Ditto Fabrics turned out to be its perfect partner. 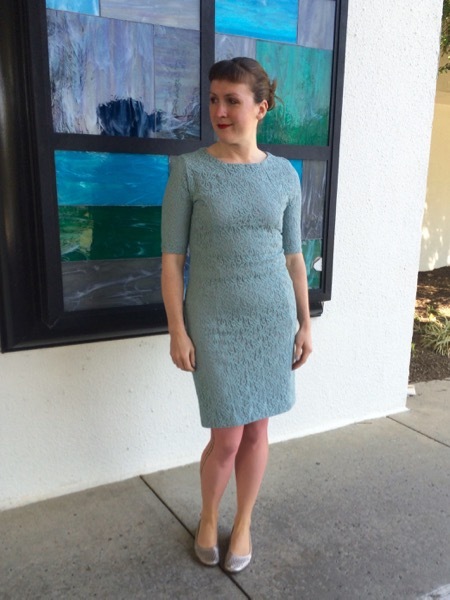 I wore this dress to two friends’ wedding in the summer, and created a matching hard clutch bag, too. It’s effortlessly stylish and since it’s unlined and breathable, it’s comfortable in hot weather (and hot dancefloors), too. I hardly ever sew Big Four patterns, but I’m always a sucker for Vogue’s DKNY patterns (and yes, I bought up a ton when her licensing deal ended!). It took me a while for this shirt pattern and some non-sterotypical Liberty lawn to find each other in my stash, but the result is a summer shirt I just love. 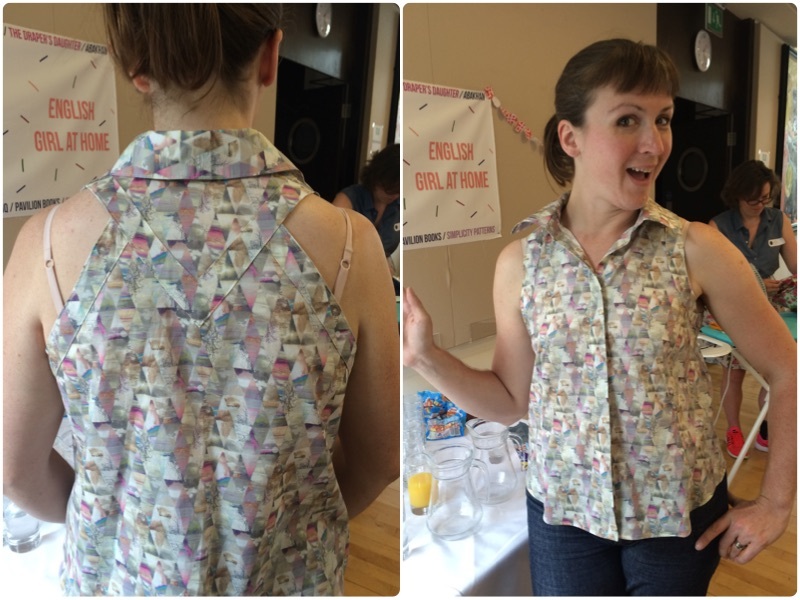 I finished this at the Sewing Weekender and even wore it out to the group pub outing. Finally, the two pairs of self-drafted cycling jeans I made this year probably got more wear than half of my other sewing makes combined. The articulated knees plus extra back rise meant these were super comfortable to cycle in without looking like I’d just stepped off the Tour de France route. …was Work vs Play. I started the year with an awful, awful illness (or rather, series of concurrent illnesses plus glandular fever/mono added on for good measure) which kept me laid low from January through to early April. This had a profound effect on my running year, but also meant that I felt like I was playing catchup for most of the year, never really achieving all that I wanted to, since I missed off three full months of my life. I was effectively working two jobs and never getting a rest or enough time to devote to either Work Sewing or Fun Sewing, and I took back a bit of control when I quit my office job in August. I don’t know if I’ll focus on the business full-time forever, but opportunities started appearing everything once I created the space in my life to say yes to the, and I feel I have a better Work/Play balance as a result. 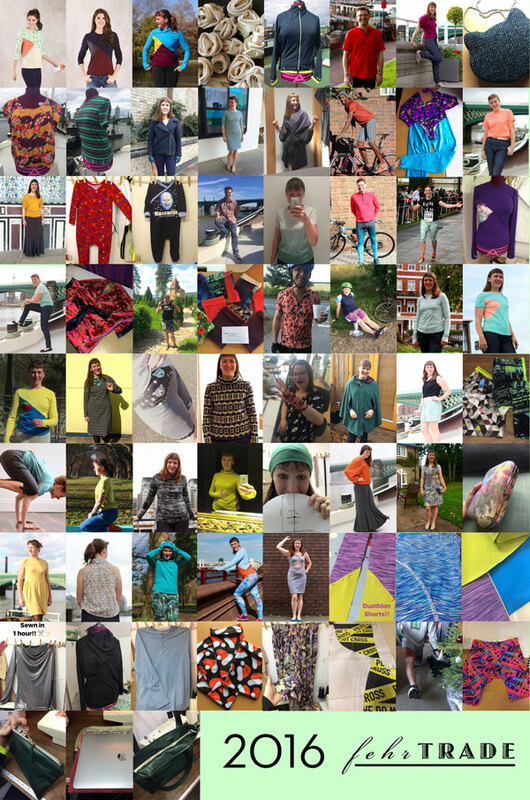 First let me start off by saying a big THANK YOU to every one of you for reading this site, supporting the business over the past three years, sharing and pinning your makes, and spreading the word about self-sewn activewear. 2016 was our biggest year yet for traffic and sales (by far! ), and I only have you to thank for it! 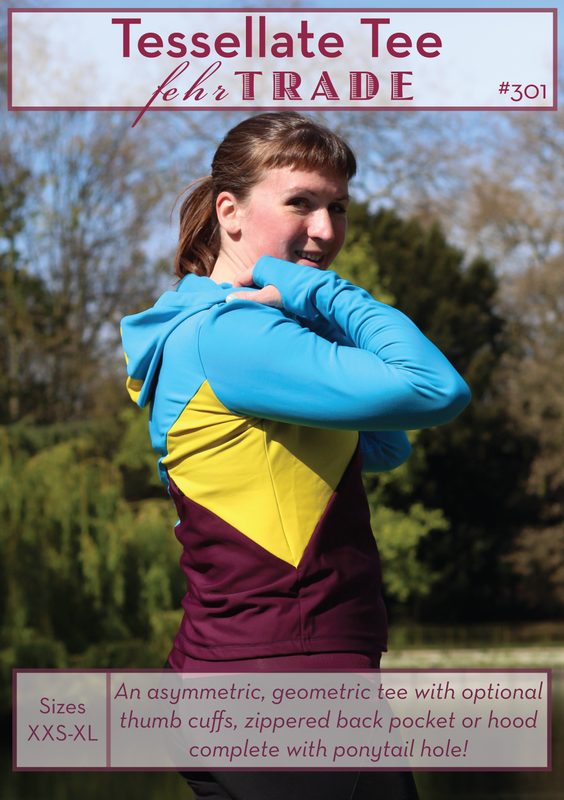 I released three patterns in 2016, starting with the Tessellate Tee pattern appearing in Love Sewing magazine in January (with the bonus Add-On Pack as a buyable pdf), and following on with the full, merged pdf release once the rights reverted back to me in April. I did most of the work on this pattern in 2015, but I sewed a ton of these this year, both for samples but also just because I liked wearing them, too. I’ve been playing with the concept of a men’s legging pattern ever since I released the Surf to Summit Top in late 2014, and I’m pleased that I finally cracked the crotch fit to release the Lightspeed Leggings pattern at the end of summer! I ended up making three of these for Christmas presents this year, and I can finally point my friends somewhere when they complain about the boring RTW options for men! 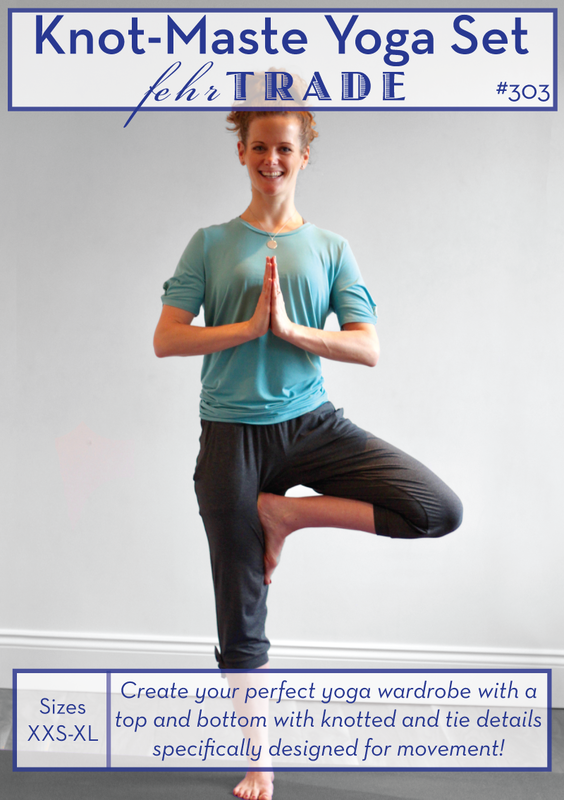 And the most recent pattern release for 2016 was of course the Knot-Maste Yoga Set – my first wardrobe pattern and my first pattern designed specifically for yoga. I originally started work on this one in July and August, and it had quite an evolution from the first designs through to the version sent to testers and finally, the finished design that I’m super proud of! Finally migrating the site to a new backend! I started working on this at Easter and it took about a week of stress and tears to move ten years worth of posts and photos over, but it was all worth it! Celebrating TEN YEARS of FehrTrade.com. I mean, seriously, ten-freaking-years I’ve been sharing my sewing makes with you all. It kinda blows my mind. Watching my XYT Workout Top being made by a contestant on the Great British Sewing Bee was amaaaaaaaazing!! I’ve seen my illustrations and a few of my “perfects” appear on the show, but this was another level, and one that came as a complete surprise! Rediscovering the dress sample I’d made in the latest Sewing Bee book – I’d sewn it in a delirious haze of illness, so when the finished book arrived, at first glance I just thought it looked familiar… ha! Releasing the first Print Club fabric kit (of which there are still a handful left) – I’d had this idea about two years ago and first plotted to do it last December, and then I got ill and everything got pushed around, so I’m pleased that Laurie and I made it a reality this year! Attending The Sewing Weekender in Cambridge was a total highlight, and I’d buy a ticket in a heartbeat if they ever organise another! I was ill and feeling crummy, so of course I bought a gorgeous vintage sewing machine! The Elna Grasshopper is truly a marvel of engineering and design, and I have zero regrets. We did a lot of travelling this year – Baltimore/PA/DC in April, Istanbul in May, Transylvania in June, Berlin in September, and Dublin in October. Staying with Cidell in Baltimore and meeting up with the local sewing gang there made it absolutely feel like home! I’ve followed Gertie’s blog ever since she won that Threads competition years ago, so I was chuffed to not only attend her book signing while she was over in London, but also show her around the boat and have a great chat over dinner, too. I’m a huge podcast fan, so recording my transplant story for Seamwork Radio was a huge honour. We recorded it early in the year when I wasn’t feeling great, so I’m thrilled at Sarai’s editing job to make it sound as good as it does! Jenny Cashmerette is an expat in the reverse direction from me, but we managed to meet up for a drink when she was jetlagged and en route to her parents’ over the summer and had a blast! I’ve appeared in quite a few sewing (and running!) magazines this year, but seeing my Tessellate Tee pattern appear in Love Sewing magazine was definitely the top of the heap! And finally, seeing Norma from Orange Lingerie again for what’s becoming our annual museum visit was just fabulous. I made a point to save up the V&A’s lingerie exhibit til she was in town, and we had an excellent afternoon geeking out on all those details that only sewists notice! As with most years, there are things I’ve made this year which you won’t full get to see til later in next year. I can’t pretend to see the future, but from what’s already in motion, I can say that 2017 is looking very bright indeed for FehrTrade, and I can’t wait to be able to share it with you all! If you’re curious to see how 2016 stacked up to previous years, you can have a look at previous roundups here: 2015, 2014, 2013, 2012, 2011, 2010, 2009, 2008, and 2007. I can’t believe how much you have accomplished, congrats on all your pattern success. Happy New Year! Lovely roundup, even a very familiar face! I ought to go and do mine. I think it helps focus the mind. My plan is use up some stash fabrics and to make from patterns I’ve not used yet. Hope 2017 will be heath lire for you and just as productive. Thanks, it’s always fun to see the year laid out like this. I’m doing a great job at using up my stash right now – long may it continue!! Oh my goodness, your collection for the year is simply amazing! Happy New Year to you! Well done on all you achieved last year. I have no doubt that you will be every bit as amazing this year. That sounds like a seriously busy year:)! Really enjoyed revisiting & lovely to see the Sewing Weekender in there! I hope you can hear the cheers and applause from across the pond. Great year, Melissa, and I wish you many more filled with successes, feats, fun and friendships.